Popular businnes mogul and Tonto Dikeh's ex-husband, Olakunle Churchill has celebrated with Nollywood actress Rosy Meurer who is a year older today. Churchill took to his Instagram page to appreciate the actress for being an amazing ambassador of his foundation. He talked about how he has watched her grow into the success she is and being proud of her. 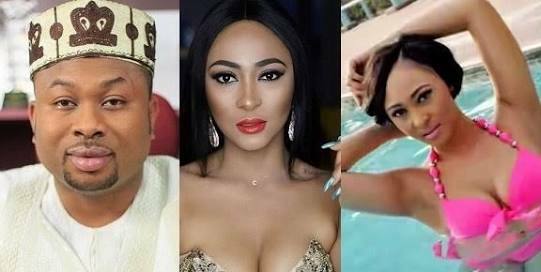 In his words; "Happy birthday to Miss Rosaline Meurer. You’ve being an Amazing Big Church Foundation Ambassador over the years. "I have watched you grow from a little girl with great ambitions and you’ve come this far. I’m truly proud of you.